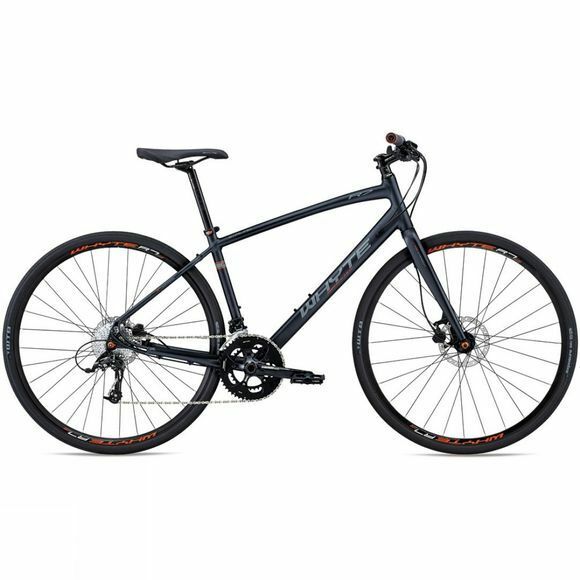 Whyte are a British bike manufacturer that have a reputation of excellence. They put a lot of thought into their designs, creating excellent bikes that are always fit for purpose, and the Stirling is no exception. It has been designed as a fast, but comfortable commuter. 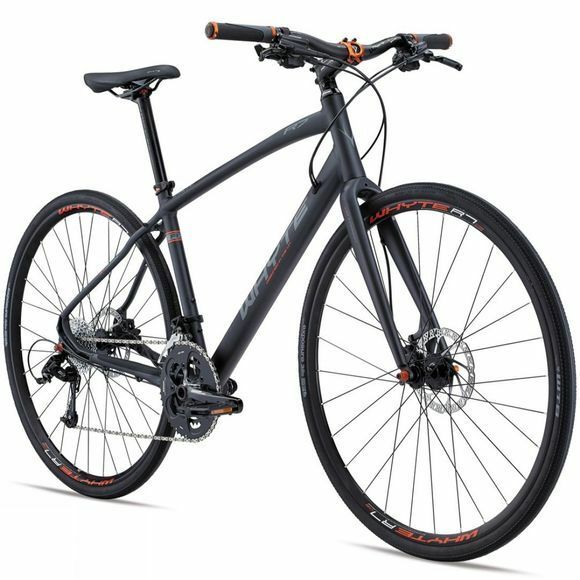 Whyte have based its geometry on their mountain bikes, giving it a long wheelbase and relaxed head angle for high speed stability, and a shorter stem for excellent manoeuvrability at slower speeds. Carbon forks dampen out the chatter of the road. And, with 32c tyres sitting on 20mm wide rims the Stirling has both speed and comfort. A custom rear dropout makes way for the rear hydraulic disc brake caliper to be mounted inside the rear triangle, freeing up plenty of room for mudguards or a luggage rack to be easily fitted, and finishing this impressive urban bike off perfectly.